From the wacky, hit 1966 Batman TV Series! 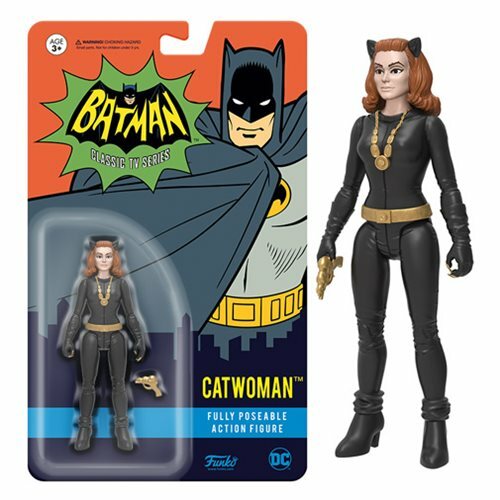 Swing into action with this Batman 1966 Catwoman Action Figure! Packaged on a blister card, Catwoman features 9 points of articulation and measures approximately 3 3/4-inches tall. Ages 3 and up.